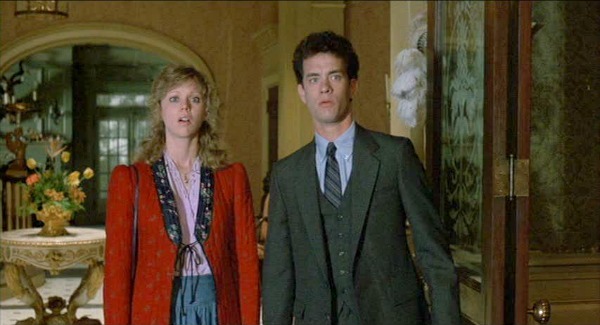 The 1986 comedy The Money Pit stars Tom Hanks and Shelley Long as a young couple that impulsively buys a grand Federal-style house that they think is a bargain. As you can probably guess from the title, it’s not. But they don’t figure that out until they move in and the house starts falling down around them–literally. Maureen Stapleton plays the homeowner-slash-con artist Estelle, who gives them a tour of the place and tells them that she has to sell right away. There’s no time to think about it–or to get an inspection or anything like that. 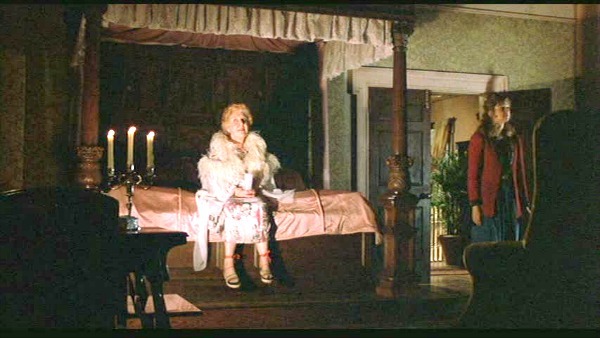 Estelle tells them she’s keeping the lights off because she can’t afford the electric bill. They later find out the wiring is faulty. 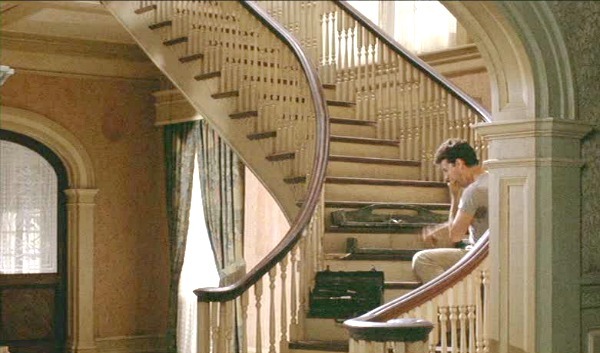 The staircase fiasco starts with one loose floorboard that Walter innocently tries to fix. Next thing he knows, the entire thing is falling apart. The workers arrive, and they look like a pretty scary bunch, but they’re the only ones who would work for an amount of money Walter could afford. And that’s it. We don’t get to see how the kitchen, the bedroom, or the bathroom turned out. Nope. Just a quick view of the main rooms in front, and then it’s over. 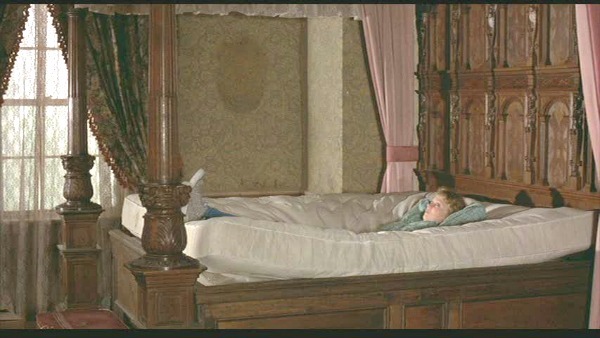 Does that drive anyone else nuts?I found it so irritating that we don’t get to see how all of the rooms turned out, that for a long time I refused to do a post about this movie at all. So many of you requested it, though, that you eventually wore me down. Ha. The Money Pit was a (loose) remake of the Cary Grant-Myrna Loy classic Mr. Blandings Builds His Dream House, one of my all-time favorites. You can see my post about that house here. That’s one of the funniest movies ever. Especially if you’ve even gone through a home renovation of any kind. I was chuckling just reading it. I had no idea about the other movie. I’ll be sure to look for it. .-= Karen´s last blog ..Kringle Hollow =-. I’ve never seen the older movie. I should get it on Netflix though. I have seen The Money Pit though and thought it was hilarious. It’s been so many years though and it was before I was “hooked on houses” so I don’t remember getting mad about not seeing the rest of the house. haha But I bet today I would be just like you. .-= Carmen @ Life with Sprinkles on Top´s last blog ..1st Birthday Party =-. .-= Sally´s last blog ..Lets Start at the Very Beginning =-. Look how young they both look! Now I feel old. :s Love the exterior of the home….window boxes and garland look like the old renos outside to me. Another movie to add to my to-watch list. .-= Amanda @ Serenity Now´s last blog ..Come on Over! =-. We LOVE the Money Pit here at our house!! We just watched this movie a couple of months ago, we had to buy it! 🙂 All 3 of our houses have been Money Pits. The first two were ollllld, and every time we fixed something; something else broke. There was a hole in the floor under the bath tub in the first house that we discovered when we renovated. Hubby said he was surprised we didn’t have a “Money Pit” moment of our own when we stood in the shower or took baths. Our 3rd house has been a money pit too, even though it was built in 1995. I don’t get it…renovating this one cost almost as much as the previous two, and those were OLD! 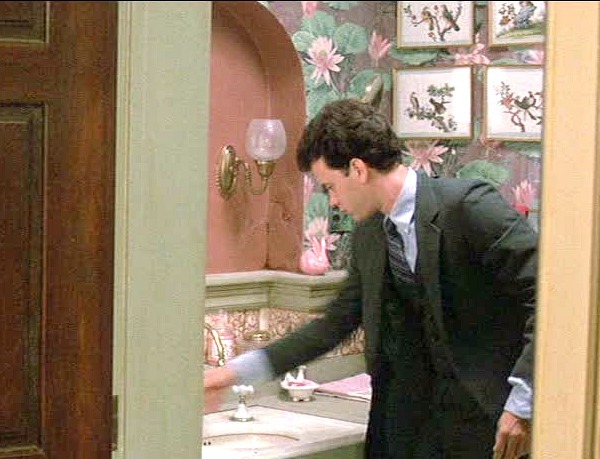 My fave movie moment: when Tom Hanks is laughing HYSTERICALLY and sounds like he’s gone off the deep end. His laugh makes me laugh, too. 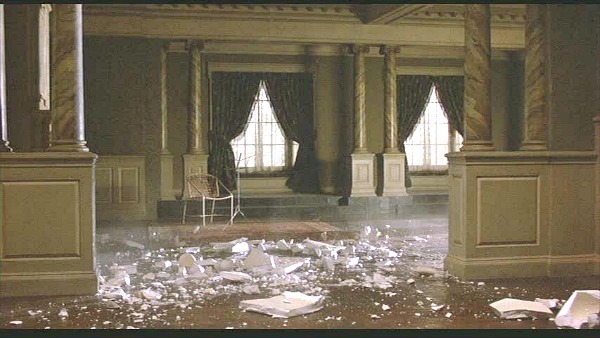 Oh, and I”m mad they didn’t show any other finished rooms, either! grrrrrrrr! .-= Handy Man, Crafty Woman´s last blog ..Repurposed Side Table =-. .-= Ami @ beyondpeasandcarrots´s last blog ..tomato sauce with onion and butter =-. I have never seen Mr. Blandings Builds His Dream House, and I have not seen the Money Pit for a really long time… but after reading this I’d like to watch it again soon. What a nightmare of a house! If someone tries tricking you into not getting a home inspection, you might be buying a money pit. .-= Ashley´s last blog ..Blood Is Funny =-. I loved the Money Pit, but haven’t seen the other movie. I’ll check it out. .-= Bobbi´s last blog ..I Was Not A Happy Camper =-. I love both movies and both of the houses! 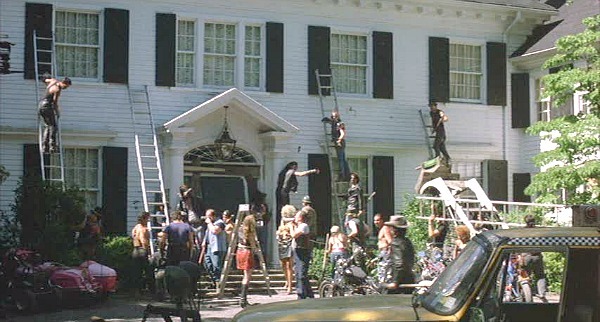 Ever since I was little thought I’ve wanted to see the rest of the Money Pit mansion after the renovation. That always drove me crazy too! WHERE are the scenes with the rest of the house!! WHY don’t they show them! Argh…. .-= Kristen @ More Than Mulberries´s last blog ..Library Etiquette =-. This movie is absolutely my favorite comedy. I watch it every time it comes on and laugh till I cry each time. Love it!!!!!!!!!! .-= Kim´s last blog ..Another Switch =-. Mr. Blandings is definitely my favorite of the two. Who can argue with Cary Grant, I ask you? .-= paige´s last blog ..wordless wednesday =-. LOVE Money Pit…. haven’t seen the other. And YES YES YES I wanted to see all the other rooms once they were done!!!!! of course you KNOW I was all about that staircase!!! .-= Lizzy´s last blog ..55 Degrees of Separation =-. I can’t believe so many haven’t seen Mr. Blandings!! It’s one of my favorites — Cary Grant is great. It does drive me nuts that they don’t show All the rooms. I do like this movie, but I recently saw Mr. Blandings and I think I like it better. .-= Nichole´s last blog ..Bathroom- Before &amp After =-. I love Mr. Blandings! Doesn’t this house look better with the three windows on each side instead of two…what lot of work that was. I don’t like my comedy to be too obvious, and this movie is almost unbelievable. I like Mr. Blandings movie much, much better. Great looking house! This movie reminds me of “Are We Done Yet”and they probably got the idea from “Money Pit”. It’s not a very good movie, but there is a nice house in it. This house also reminds me of the one in “Jumanji”, which is another great house. Hi Julia I thought this movie was so funny my favourite part is the bathtub seen where they are filling it and it falls through the floor the way Walter starts that crazy laugh. I can’t remember if they have shown the older movie here for the past few years, if they do I will be watching even if it’s a late late late movie….. Thanks Julia this was fun. Regards Esther from Sydney…. PS the finished rooms they did show turned out beautiful. Oh…Just seeing your previwe of the movie gives me hives…too many reno’s in my past! Ya know…I haven’t seen the original Mr. Blandings. Need too! .-= linda @ Lime in the coconut´s last blog ..Fall in our corner of the world… =-. Definitely Mr. Blandings is my favorite of the two. Liked The Money Pit too, but was also disappointed that they didn’t show all the renovations. 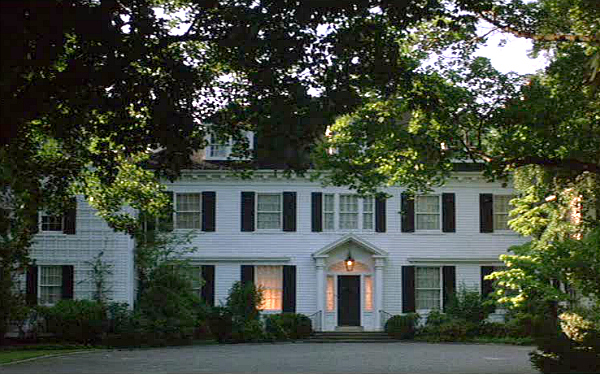 I loved that movie-was in high school when I saw it and immediately wanted to buy an old house and fix it up. It hurt every time something broke in that house! .-= rosie at 3rosebuds´s last blog ..Sneak Peek at the kitchen re-do =-. 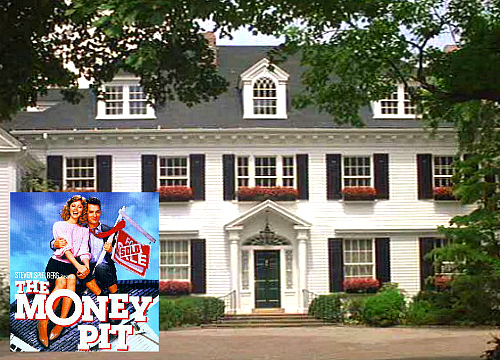 Money Pit was the first movie we watched in our house–must have been a sign. We’ve had the brown sludge, the stair banister giving, plumbing (thankfully not the whole tub) coming through our dining room ceiling, extensive mold & termite damage (read: new drywall required), and the list goes on. Thanks for the pics! Would love to see the full listing from the real house if anyone finds it! .-= Becky @ Farmgirl Paints´s last blog ..SNOW &amp Shutterflys special offer =-. Lovely estate. $200,000 – wow! .-= Cole´s last blog ..18-767-000 – North Saanich- BC =-. I’ve seen the Tom Hanks version of the movie but not the Cary Grant. Must remedy that immediately! 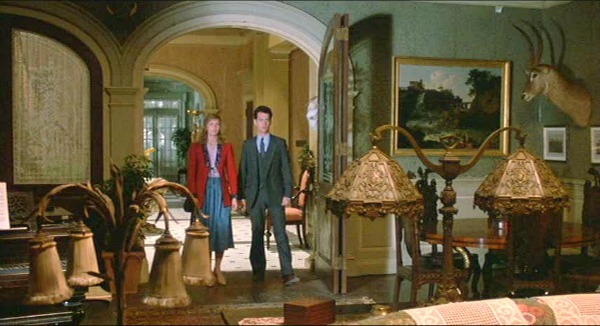 My husband and I often joke that we are living in that movie, something breaks in our charming but very very old house on a near monthly basis, to the point that when my husband comes home from work and I say “guess what happened today” he instinctively drives to Home Depot. And you are definitely not alone in wanting to see the whole house, they made sure to show us the whole disaster but then we get no satisfaction in seeing the finished product, to me it is equivalent to those movies where they finish it without telling you what happened. They think it is artistic I think it is infuriating!! .-= hip hip gin gin´s last blog ..Short Skirt- Red Fringe =-. I’ve seen Money Pit many times and enjoy each time. Hpwever, my favorite of the two movies is Mr Blandings Builds His Dream House. Love love love that movie! .-= Pat@Back Porch Musings´s last blog ..Grey and White =-. Oh, I started laughing the minute I saw the movie cover. 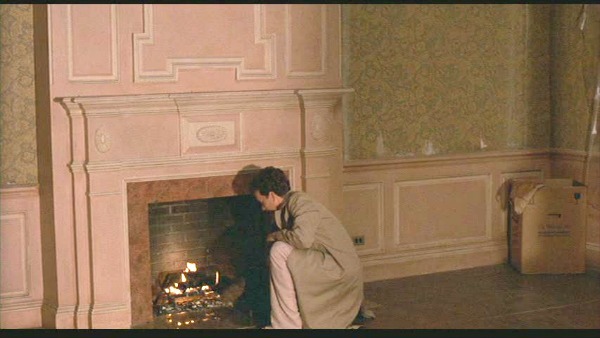 The scene that gets me absolutely convulsive in laughter is when Walter falls through the floor, the rug he was standing on a sag from which he hangs – and hangs, and hangs and hangs, for hours until Anna finally comes home, and then she can’t find him. We saw the movie when we were living in our own money pit, and it happened to be on when we were doing all those things one does to sell ones house. You know. Finish all the unfinished projects to put it on the market. We stopped and watched it and laughed anew. I love Mr. Blandings . . . and encourage everyone to watch it. It is old and charming and a delightful movie that I never tire of seeing. .-= Penny´s last blog ..Stuck in the middle with you =-. The Money Pit is one of my all time favorites. Everything stops when it comes on. Julia-I think we can all identify with this on some level–who hasn’t started a project that snowballed (or avalanched) ? 🙂 I miss seeing Shelley Long! BTW– don’t think the new windows add much. Thanks for another good one. 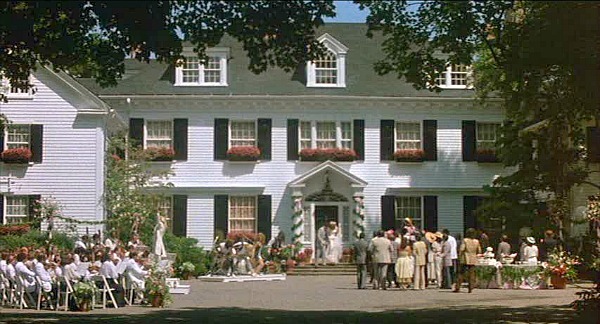 ps- I saw a great exterior of a house in Morning Glory yesterday—funny, funny movie! .-= Susan´s last blog ..In His Hands =-. Thanks for doing this post, Julia! I know I was one of those readers who wore you down! I just really think the facade is perfect (before the current renovation), and I also appreciate that curving staircase and all the nice classical detailing in the main rooms. I unfortunately didn’t save more photos from the listing, mainly because I was so disappointed by how tacky it was. The owners at the time had a white-black-gold Greek theme in every room of the house (which included gold wall-to-wall carpeting and metallic window scarves in the master bedroom). 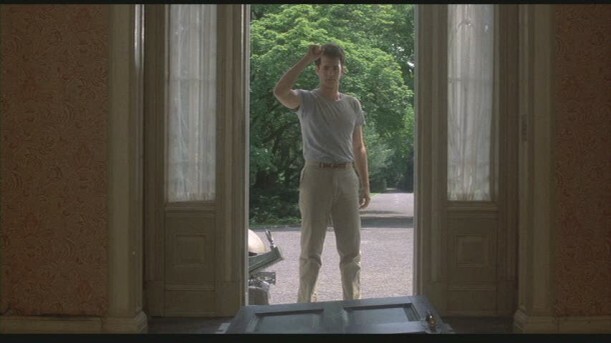 I can tell you that the back of the house as you see it in the movie was constructed several feet away from the back of the actual house, which looks nothing like that. 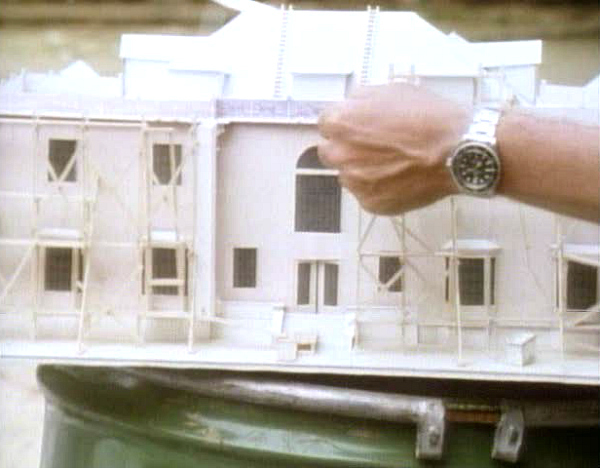 They did that so the back of the movie house would better correspond with their interior sets, and also so they could do the whole scene with the scaffolding collapsing and that big window breaking. Also, the house is right next to one of the oldest cemeteries on Long Island, dating back to the late 1600s! 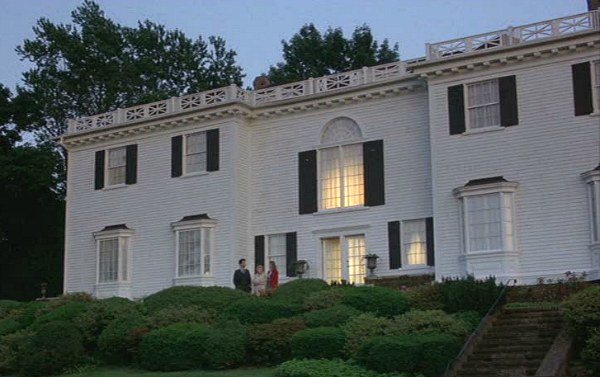 Thanks to seeing this movie as a preschooler, I have grown up loving white clapboard Georgian/Federal Revival houses. Maybe one day (in the far future) I could afford one! I almost forgot I did this (I’m obsessed, OK?). .-= Kelly´s last blog ..1926 Dutch Colonial- Asheville- NC =-. This is such a beautiful home, but I think the addition of so many windows on the front took away some of it’s charm. Also, scary how many of your readers saw this movie when they were so young…I’m officially feeling old now! Have you seen any MLS listing pictures for Kathie Lee’s home in Nantucket? She announced today on her show that it has sold and I’d love to see pictures of it! Thought I’d ask you since you can find any house!! I just finished building my house – and the contractors were just like that! I saw The Money Pit for the first time about a year and a half ago. It’s is so loosely based on Mr. Blandings that I never would have thought so if you hadn’t said. 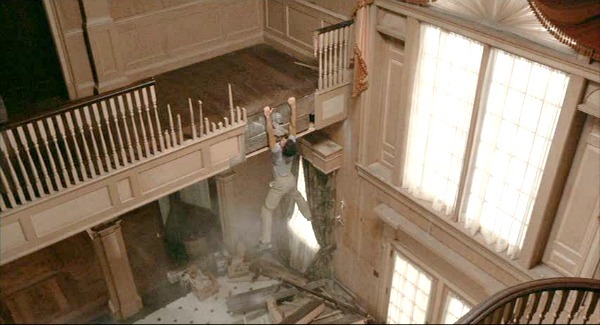 This movie is the reason I don’t think I could live inside a house while I was renovating it. I’d need a quiet place to come home to. Mr. Blandings is one of my favorite movies of all time, so much better than the money pit, even though it is fun. I do agree: not showing the rest of the finished house makes me so mad! .-= Valerie´s last blog ..Return to WA- Day 7 =-. We are living out the drama and comedy of The Money Pit. I saw both movies and enjoyed both. Nothing can beat the kitchen scene which ends up with the turkey launching out of the oven and landing in the bathroom, prior to the tub falling through the floor. Hysterical. .-= FairfieldHouse´s last blog ..Bad Press =-. Mr. Blandings is my absolute favorite move of all time, I would be so greateful if my daughter would return it to me! Movies of that era possessed a special quality, I it doesn’t get much better then Cary Grant and Myrna Loy for acting! The bit where Mrs. Blandings describes the paint colors she wants to the painter is priceless! 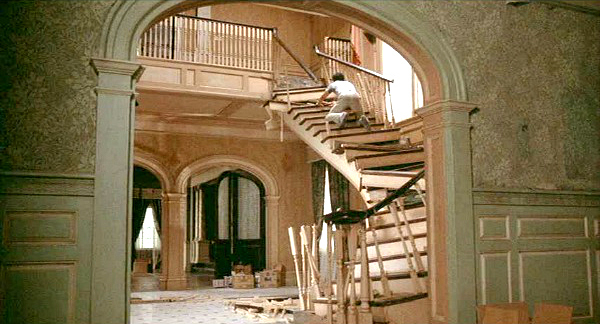 I did like Money Pit..much more physical, and that floating staircase is priceless! Why doesn’t Hollywood get it? We want to see the ENTIRE house after its been redone! LOL! I LOVE this movie, just about my favourite I think. I’ve seen it probably hundreds of times and still crack up when the tub goes through the floor. Tom Hanks is priceless! I do wish they’d show all the renos though, would have been nice to see what they did with the whole house. 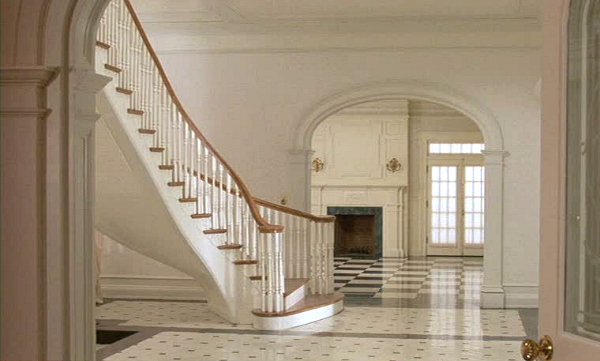 I love that movie — but it makes me mad too when they don’t show the rest of the house’s makeover! 🙂 You must have been reading my mind on this post — I was just thinking about this movie last week when I think I referred to our “income” property as a Money Pit! 🙂 Haha!! .-= Amanda@The Hand Me Down House´s last blog ..And the winner is =-. This is one of my favorite movies!! I’ve seen it so many times. 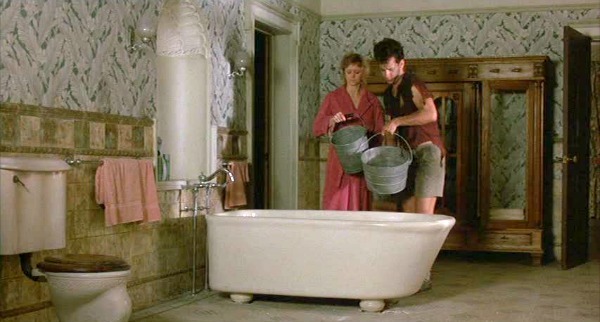 I love to quote it – “Two weeks, two weeks, you sound like a parakeet.” The bathtub crashing and the hole under the rug are two of my favorite scenes. .-= Jenny at Henriettas House´s last blog ..New Game Tablefrom the 1950s =-. .-= Bre´s last blog ..From Table to Tub- Marshmallow =-. This movie cracks me up every time I watch it. Long and Hanks are hilarious! 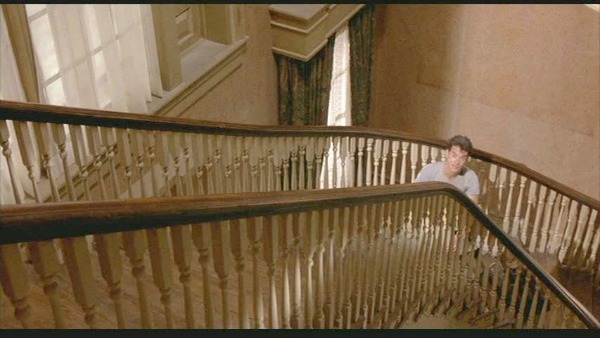 And I can never hear the song “The Name Game” without thinking of Tom Hanks stuck in a floor. It’s never bothered me that the rest of the house isn’t shown post-renovation, but now that you mention it, it is a little odd. “Mr. Blandings Builds His Dream House” is the perfect movie — witty, charming with a brillant cast and script. In contrast — “The Money Pit” was a waste of film! If they had stuck to the original story then the film MIGHT have had a chance! The same problem happened with the film “Bewitched” which managed to mangle the wonderful original storyline of the iconic television show. Of course I am STILL waiting for a decent remake of the Blandings story! 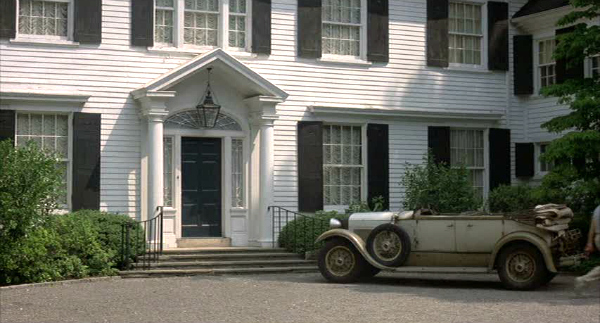 Maybe Nora Ephron might tackle it — and bring us more of her wonderful houses/home settings! The money pit is classic! I never thought about the fact that you don’t see the rest of the house, however now that you mention it that is annoying! LOL! I haven’t seen the Cary Grant movie, I’ll have to! .-= Jenny´s last blog ..Homeschool Week 16 Review =-. Wow, the photos of the real house as it is now are stunners. I do feel the same as you as far as being led down a path hoping to see the finished product and then … thud. We’re left to stew downstairs. Loved looking at the photos of the movie set again, however … so fun!! We tried to watch this movie years ago, but couldn’t make it very far due to the extreme frustration. As old house fans and DIYers, we just found it very depressing and kind of silly. I like a good comedy so maybe the subject matter was too close to home. 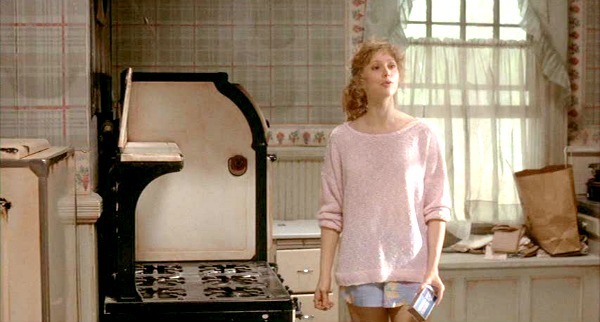 Admittedly, I do not like Shelley Long at all, in anything, so the annoyance factor of having her in a starring role probably contributed to my feelings of distaste. My mom passed away recently and I remember going to see this movie with her when it first came out. We laughed until our sides hurt and she always remembered it as one of her all-time favorites. Thanks for giving me a good giggle this morning. I think it’s time for my kids to watch it. 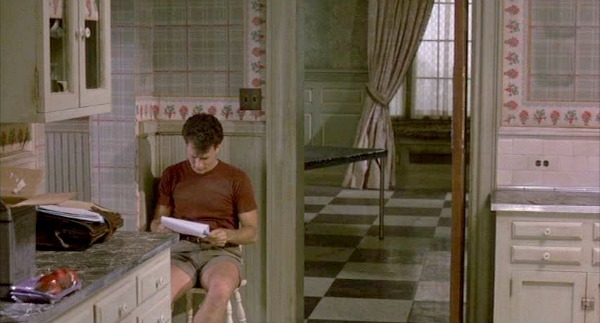 I’ve never watched The Money Pit, although I remember friends recommending it to my husband and me when we bought an American Foursquare in Nashville back in 1987. That was long before blogging. . . too bad! But Mr. Blandings is one of my all-time favorite movies. From time to time I re-run one of my favorite scenes in my head. . . such as the exchange between Mrs. Blandings and the painter. Oh, my–laughter holding both my sides! Or I’ll think to myself, “If you ain’t eatin’ WHAM, you ain’t eatin’ ham!” How I do love Cary Grant! .-= Richella at Imparting Grace´s last blog ..Giving thanks for another chance =-. Oh Mr. Blandings is the BEST movie! I was going to quote from the Myrna Loy painters scene, and the Wham/Ham scene, but the previous commenter beat me to it. My sister and I quote from this movie all the time — much to our husbands’ bewilderment. Money Pit? Cute but too ridiculous to be truly classic, and YES they should have shown the rest of the remodel. Especially the Kitchen! .-= Cass at That Old House´s last blog ..Old Silver And A Peek =-. One of my favorite movies! mostly because of the house! .-= Desiree@chiccoastalliving´s last blog ..My New Favorite Store- Pizitz Home &amp Cottage =-. this is one of my favorite comedies. came out when i was 13. it makes me fall over laughing. i love watching walter crack up over the stress. 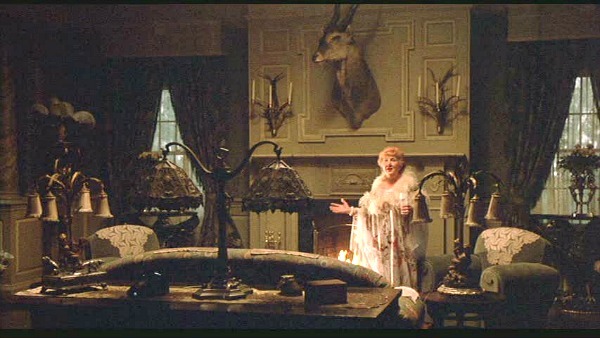 best gags are the raccoon in the closet that jumps on her and sends her tearing around the house screaming, of course the tub and staircase, and the one where walter comes home, stands in the study and slowly sinks through a hole in the floor and becomes lodged there for hours (of course, in real life that would probably suffocate a person very slowly and painfully). my favorite is the confession about her hookup with her ex: “you WHORE!! !” just so well-timed… before he became a serious actor, tom hanks was stellar comedian. We have had soooo many rehab projects that ballooned into similar chaos. Usually the “during rehab” pictures are way worse than the “before” pix. Thank goodness my husband grew up on a farm and can handle any surprises that come our way. You’d be amazed at what a person can do with just bailing wire and duct tape. Farm kids rock. .-= Ivy@RemodelTwinCities.com´s last blog ..Flip flops and Garages =-. LOVE this movie… CLASSIC!!! When Tom Hanks laughs… tears come to my eyes! I like both movies but Mr. Blandings is definitely my favorite. Who can resist Cary Grant and Myrna Loy? .-= Cindy´s last blog ..A Few of My Favorite Things =-. I love this movie! 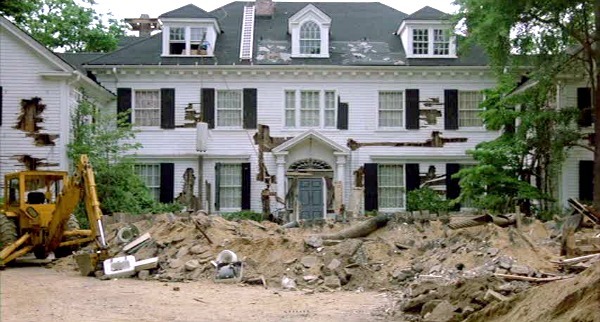 My parents bought a fixer-upper when I was in middle school and joked that they had a real life money pit because every other month, something else would fall apart. When my husband and I were going to close on our first home a couple months ago, I would have nightmares about the staircase falling apart as we were walking up it after getting the keys. Luckily, that didn’t happen! .-= Shannon´s last blog ..The Half-Bathroom- A Work in Progress =-. I love this house. I like the ‘before’ and the ‘after’. I live in a mini version of this house. This house does not look dated even though the movie is from the 1980s. Can’t say the same for ‘modern’ interior design…give it 10 years and its tommorow’s shag carpet. 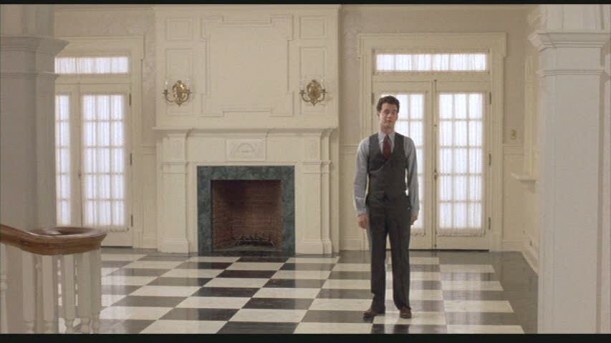 The scene that always gave me a terrible sense of claustrophobia was when Tom hanks fell through the floor and was held in place by an area rug.. Unable to move, he just waited..